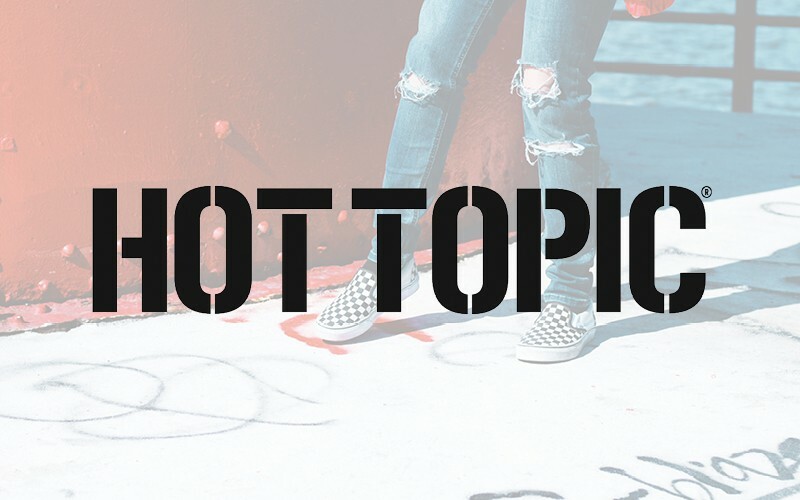 Hot Topic specializes in apparel, accessories, gifts, and music. Walk into a store and the first thing you’ll feel is energy. Energy from the music, energy from the merchandise, energy from the people. All of this is what makes Hot Topic different. The merchandise reflects a variety of music related lifestyles, which include street wear, retro influenced lounge, punk, club, and gothic. Add to that the wide selection of unique gifts and unusual accessories and you have it: Hot Topic is like no other store in the mall.